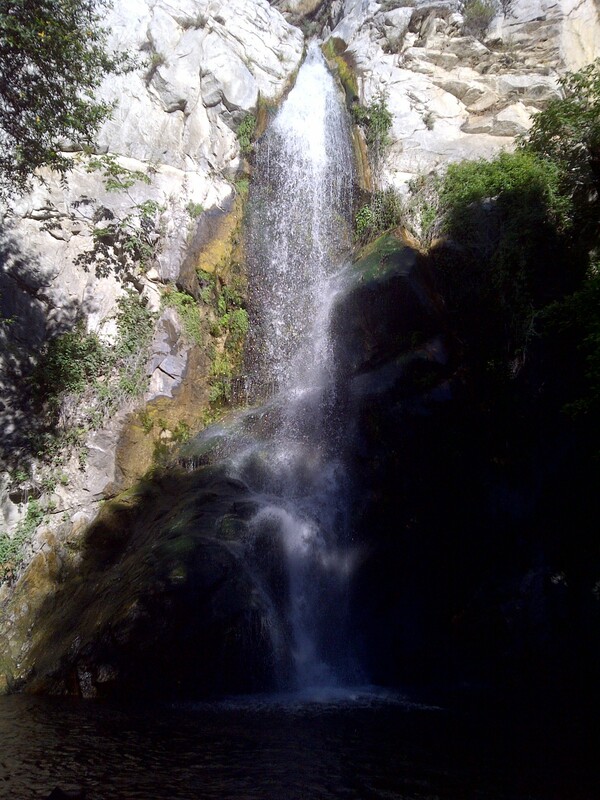 Sturtevant Falls is located in the San Gabriel Mountains and is accessible via the Chantry Flats Recreational Area. This is one of my favorite waterfalls for many reasons. 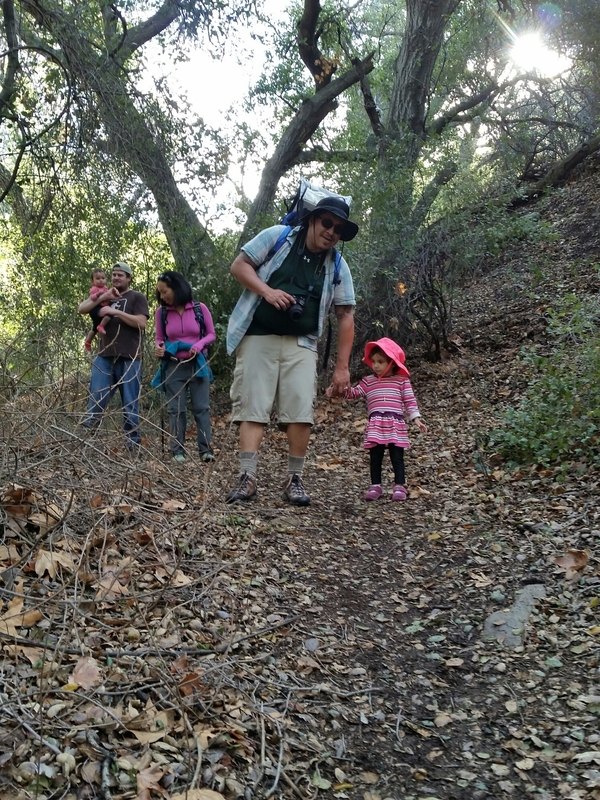 One being that is is so easy to get to, this is a great hike for kids and adults. 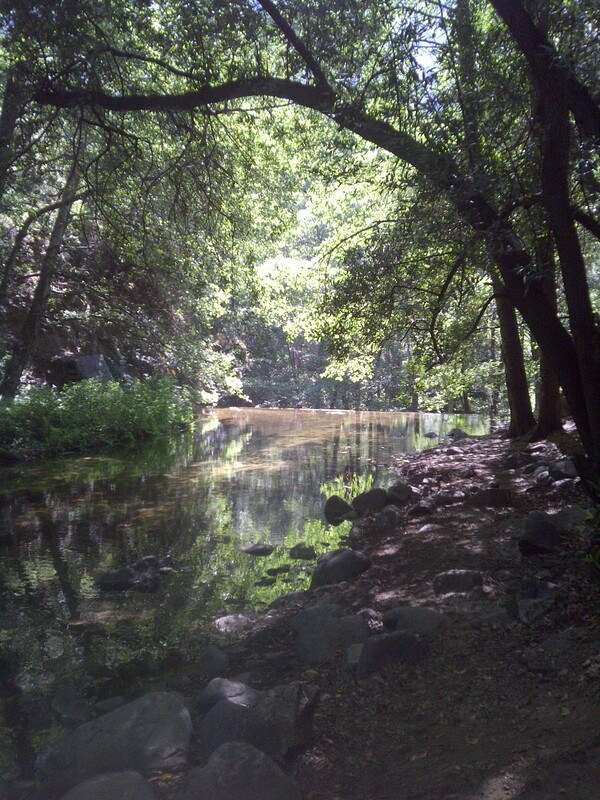 Another reason is the 50 ft waterfall that awaits you at the end of a 1.8 mile hike. Now you’re thinking 1.8 miles is not that bad…but there’s a catch. The adventure begins in the parking lot which opens at 6am, and gets full really quick! Once you’ve found parking and displayed you’re Forest Adventure pass on you’re dashboard you are good to go. 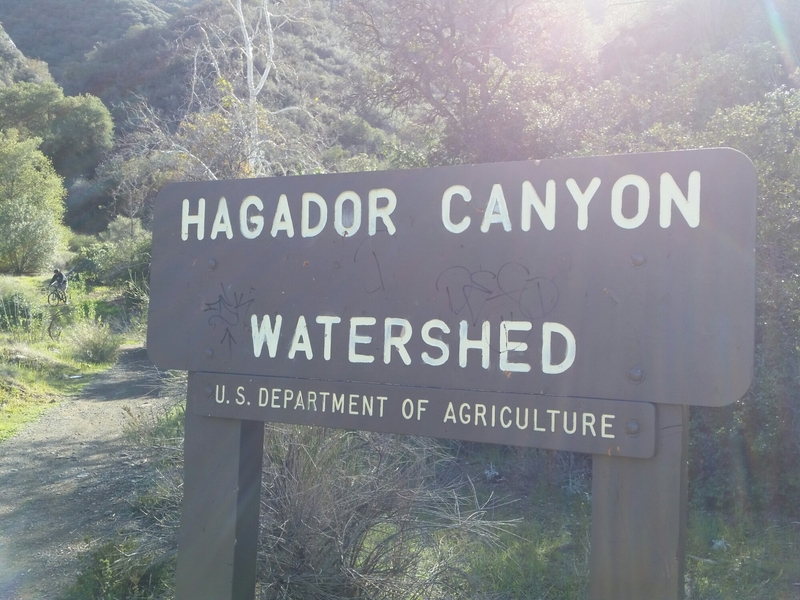 Look for the sign that reads Sturtevant Falls and proceed past it to the trail that leads down into the canyon. Follow the fire road all the way down. 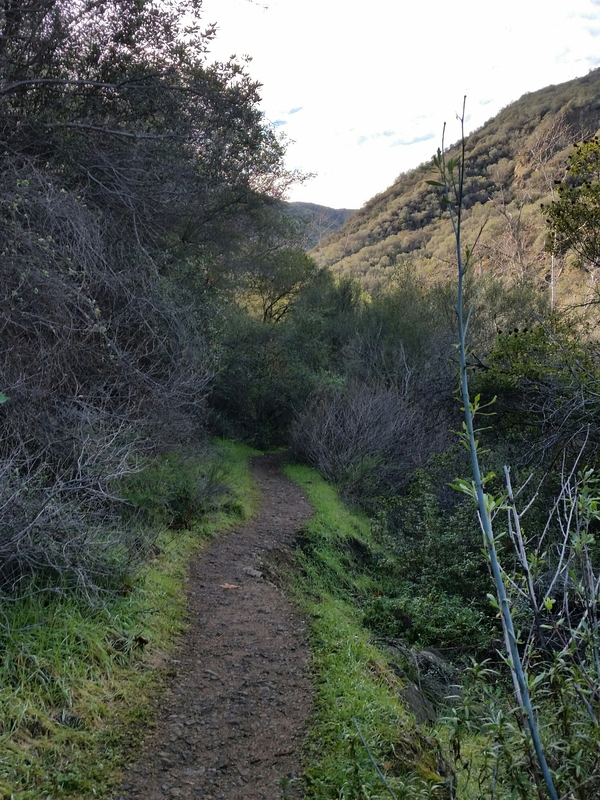 Soon you will be hiking on a dirt trail with the sounds of the creek flowing in the background. The trail becomes very jungle like and before you know it you are walking along a cabin lined trail with the tree canopy providing shade on those warm summer months. 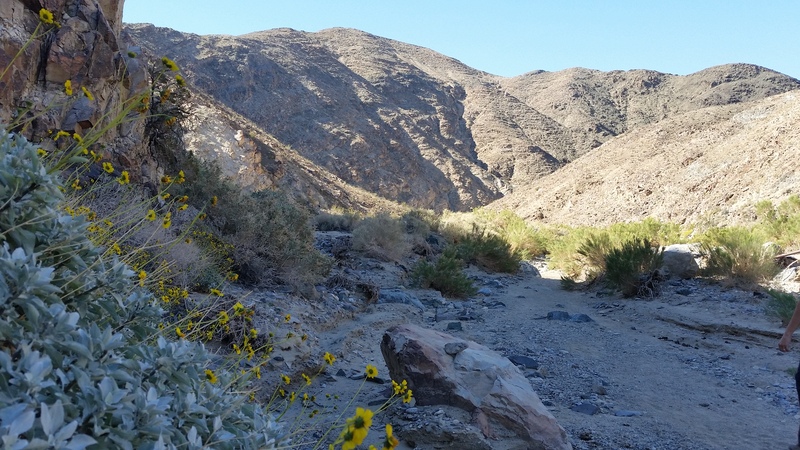 There are a few tricky creek crossings along the way so be careful. If in doubt just walk through the water…after all, its just water. 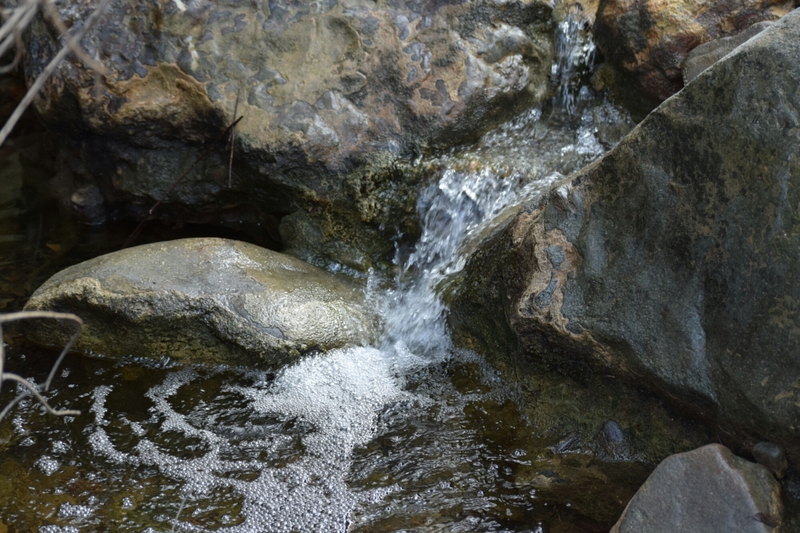 You will know when you are near, as the sounds of the gushing waterfall gets louder with every step. When you finally reach the waterfall you will be amazed at the size and how easy it was to reach it. When I first did this hike earlier in the year i couldn’t believe how easy it was to reach such a natural wonder. 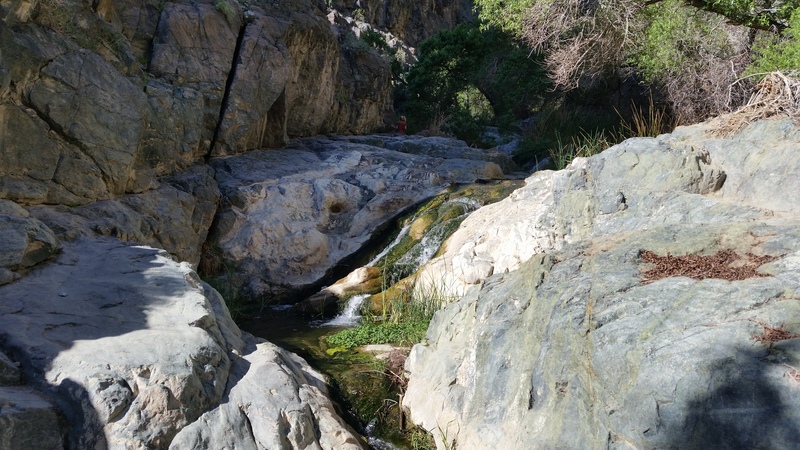 I took some pictures and videos and had a snack enjoying the sights and sounds of Sturtevant Falls… Then I geared up and began to head out with the rest of the group. This is where the i realized that this easy hike was to good to be true. 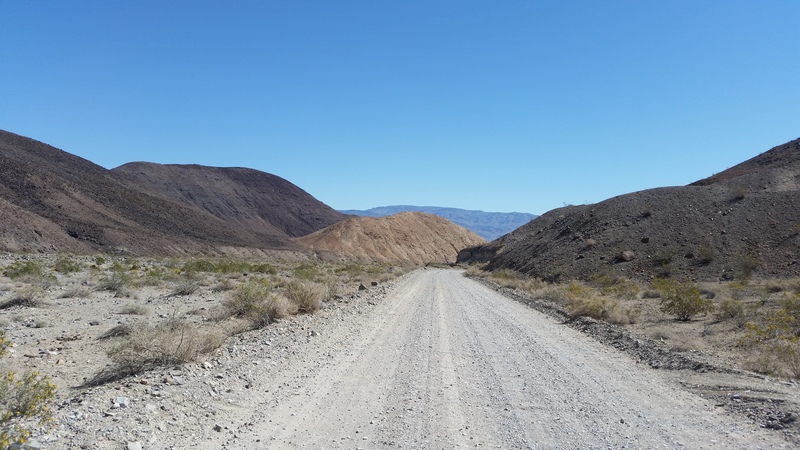 The hard part begins as soon you leave the dirt trail behind and pick up the fire road. This is about a 700 ft elevation gain in about .6 miles! On a cool day this isn’t too bad but on those hot summer days I recommend getting an early start. 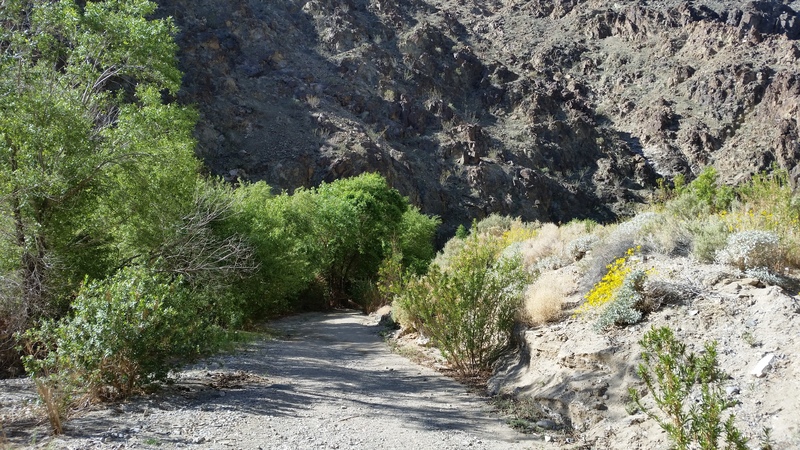 After several breaks and many sips of water you will reach the halfway point back up to the parking lot. 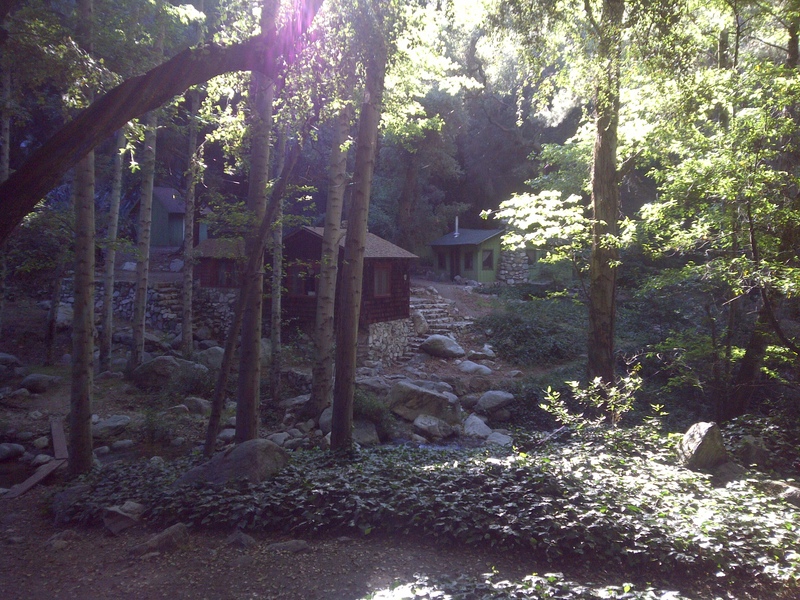 Here you will notice a trail marker that reads Hermit Falls 1.2 miles. 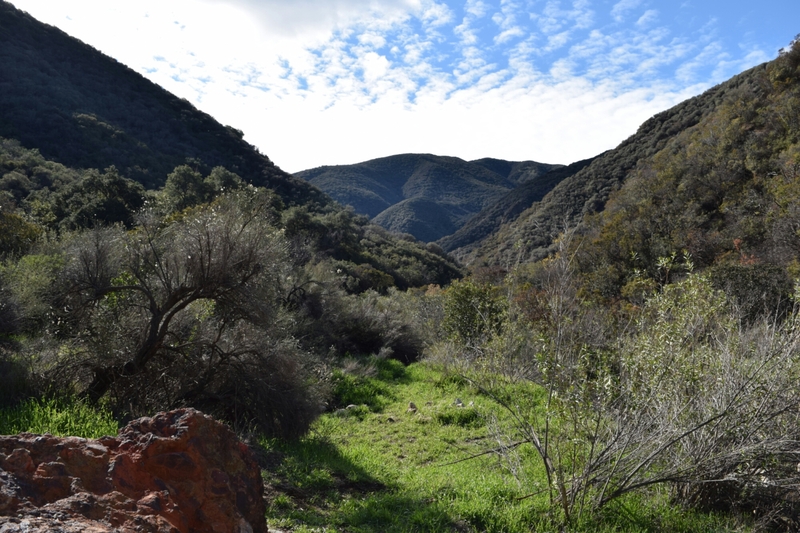 Take this trail for an added adventure and the reward will be a beautiful hike with views of the San Gabriel Mountains and soon a up close and personal look at the creek. 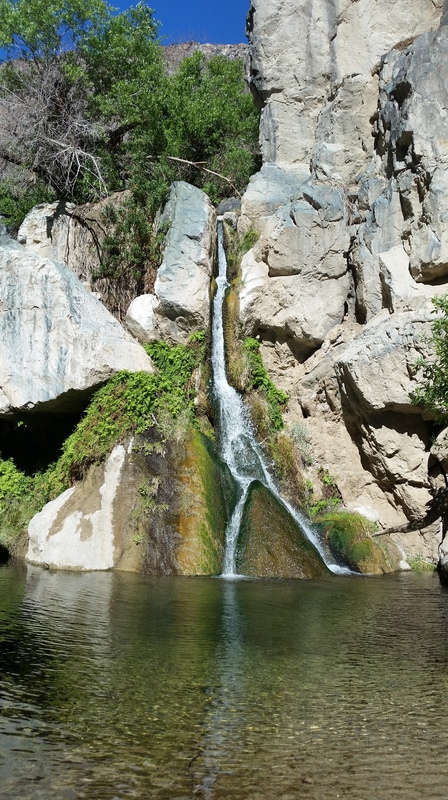 Hermit Falls consists of a few pools and multi tiered waterfalls. 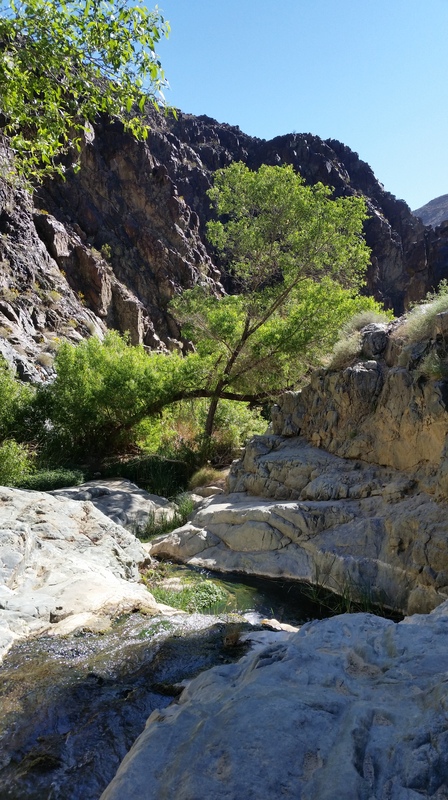 This destination is popular amongst teenagers who use this as a swimming hole, Jumping from the rocks above into the 15+ft deep pools and sliding down Natures Waterslide. 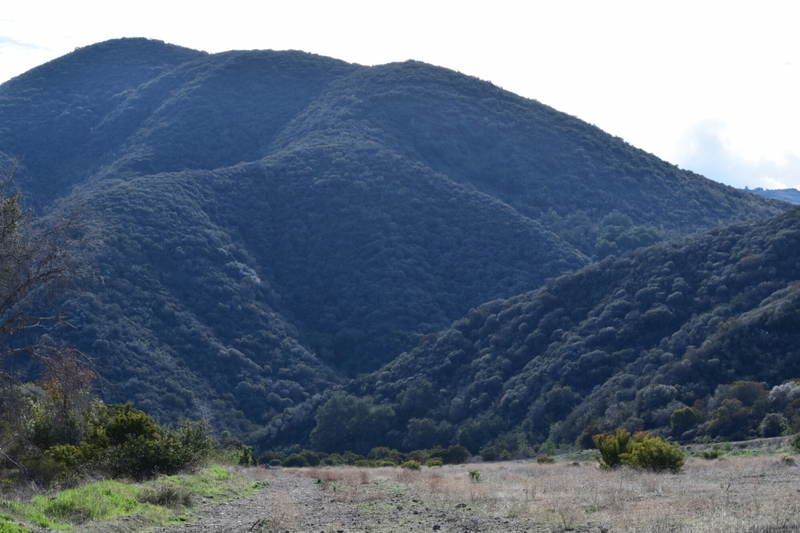 BREAKINGNEWS: Body found near trail by Old Topanga Canyon Rd and Mulholland Hwy in Calabasas.